festive afternoon tea for 2015 at the hyatt regency, birmingham. Bistrot Pierre in Derby serves up seasonal French cuisine from a variety of regions with fresh ideas and regular chef specials. Having recently had a refurb, I went along to see the new changes and updated menu. Of course like my last review of Bistrot Pierre, I took my granny along, since she's my French food expert. An indulgent twist on the classic egg nog recipe featuring one of my favourite spirits, warming honey and crunchy amaretto biscuits. When Waitrose Cellar challenged me to create my own take on eggnog using their Christmas drinks guide, I knew that I was going to switch out the rum for my beloved amaretto. This rich Christmas drink is whipped with egg yolk, white and whole milk, before being topped with thick cream, biscuit scatterings, ground nutmeg, flaked almonds and a drizzle of honey for good measure. What's not to love? A bitesize treat for the Thanksgiving season - teeny, tiny chocolate pecan pies. These mini morsels are made up of dark chocolate pastry, a sweet sticky filling, whipped cream and topped with a caramelised pecan and dark chocolate shavings. monkfish and king prawn thermidor with barber's 1883 vintage reserve. The Christmas adverts are on the TV, the novelty jumpers are in the shops and most importantly the festive menus are in the restaurants. Now that my birthday is over and done with, I'm alright with embracing the Christmas spirit with open arms. With the theme of all things merry and bright, I've put together this cherry mulled wine recipe with my lovely new festive glasses from Next. With the temperature dropping by the day, I can't wait to make another batch to enjoy around the Christmas tree whilst I'm waiting for Santa. For inspiring cuisine, beautifully thoughtful food and something a little different, Scandinavian restaurant Norse is a must visit. Tasked with taking a food blogger out for a birthday meal, my better half wanted to find somewhere a little unusual that neither of us had tried before. As we were in the lovely Yorkshire town of Harrogate for the weekend, Norse, based in Baltzersen’s cafe on Oxford Street was the one to challenge our tastebuds for the evening. 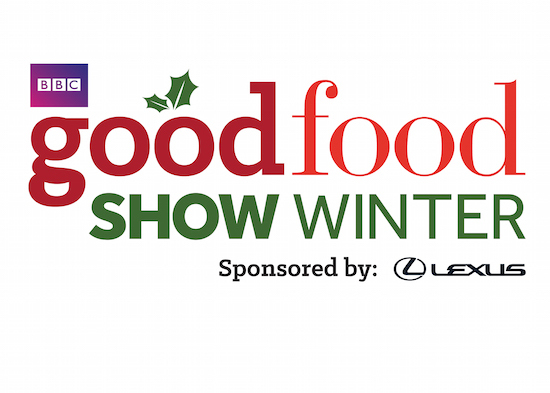 5 things to look forward to at the bbc good food show winter 2015 + a ticket giveaway! One Sixty is the new American style smokehouse venture from restaurateur David Moore and Sean Martin. Found nearby Aldgate tube station, you'll find the quirky eatery on the corner of Stoney Lane. With edgy branding and a youthful feel, the interior is a mix of black chalkboard and monochrome prints with bright yellow accents. You'll find this continue along the bar, lit up with yellow neon lights, and through the yellow tiles and Belfast sinks in the bathrooms. A graffiti artist has made their mark with bold illustrations which run onto the menus and utterly cool marketing. This recipe is straight up inspired The Sopranos. If you've seen the Italian American TV series, you'll know that duck ragu is the speciality of Artie Bucco, chef and owner of Versuvio. More of a mafia meeting place than a restaurant, Artie still tries his best to serve up Italian specials, taking his famous duck ragu recipe to the boss's mum Olivia when she's resting up in hospital. More and more often I'd find myself craving pasta upon watching The Sopranos. Stirring up pots of gravy whilst discussing business deals, eating lobster over crucial meetings and ordering droolworthy sandwiches to the Tony Soprano's office. Not to mention Carmela's famous aubergine parmegiana. I knew I instantly had to recreate this duck ragu recipe immediately, and so I did. Is there a finer meal of the day than brunch? Kicking back on a Sunday morning, the scent of rich coffee circulating through the kitchen and a couple of eggs frying in a hot pan. You've got your favourite record on and the comfy armchair is waiting for you to snuggle back and delve into your gooey eggs with an extra twist of black pepper and sea salt. But not before you Instagram it of course. This weekend, I created a rather spectacular brunch if I may say so myself. Inspired by the Ketel One bloody mary and brunch recipes from around the world, I created a mouthwatering stack of spring onion and dill potato rosti with oak smoked salmon, topped with a fried egg with a runny yolk. I served it up with an Australian inspired Bloody Mary recipe, which has an extra dash of balsamic, squeeze of lemon and is topped up with pale ale. My 500th blog post. Wow, that's a lot isn't it. A lot of words. Even more so, a lot of food. Countless cups of afternoon tea, sushi rolls, spaghetti twirls and avocado on toast later... and I'm not really sure what to say. 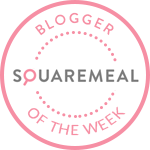 When I started my food blog back in January 2011, I hadn't a clue what fun foodie adventures it'd take me on. So I thought I'd put together a few of my fave parts, for old times sake.